Our guest contributor this week is Pat Barch, the Hoffman Estates Historian. This column originally appeared in the May 2017 issue of the Hoffman Estates Citizen, the village’s newsletter. The column appears here, courtesy of the Village of Hoffman Estates. Early residents of Hoffman Estates found that springtime was not what they had expected. Many of us found ourselves surrounded by a yard that had an inch or two of topsoil and not a blade of grass anywhere. In fact, with spring rains came the ugly muddy front & back yards. Everyone was up to their elbows in dirt and a spring filled with landscaping chores of one kind or another. 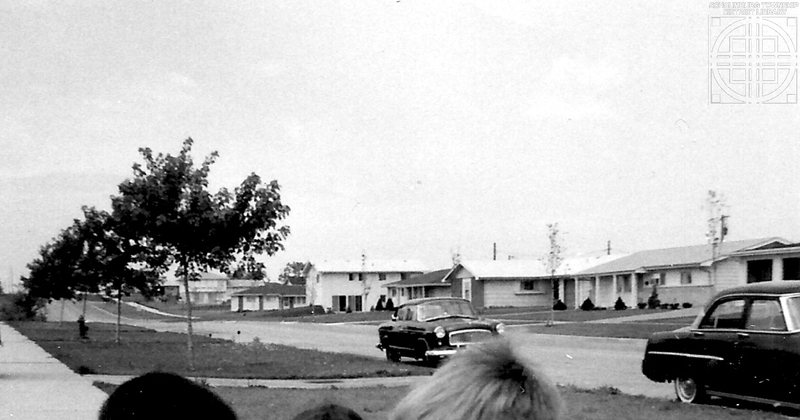 Parcel A had ½ acre lots but the other homes that were going up quickly had smaller yards. When they purchased their homes not everyone thought of the work that lay ahead once the winter snows had melted. Not only were the roads a nightmare to navigate that first year but now everyone had lawn work to keep them busy throughout the entire summer. Those first neighborhoods didn’t have homes that came with trees, shrubs and lawns. That was going to be a big undertaking for most. Parcel A didn’t even have parkway trees since they didn’t have a parkway only a small sidewalk that went along the edge of the street. Nothing could be done until you had the right equipment. Wheelbarrows, rakes, shovels, seed and fertilizer spreaders and the list went on and on. The salesman would always tell us that if you wanted to have a great lawn you needed the proper tools. We had only one nursery and lawn equipment store in town and that was located between Higgins and Golf about where Dunkin Donuts is now. In fact it was in Schaumburg not Hoffman Estates. It was called Slattery’s Nursery. They had land across the street on the north side of Golf Road where Ahlgrim’s Funeral Home is located, where they grew their stock of trees and shrubs. Landscaping and a lawn was an expensive project for the homeowners. Of course the salesman would want to sell you every blooming thing. If you needed black dirt, gravel, stone or some sand for the kid’s sandbox, you were referred to Rose’s across the street on the north side of Golf just east of Valley Lake Dr. He had everything else you needed for that beautiful lawn, especially the loads of black dirt to supplement what the builder had left behind once the house was completed. The beauty of your lawn soon became the business of everyone on your block. The men would compare notes on how they killed the dandelions or how they got the lawn so green. But there were some who always enjoyed that beautiful sea of yellow and let Mother Nature take care of the lawn. Now landscape materials are found at the big box stores or the few local hardware stores we have in our area. 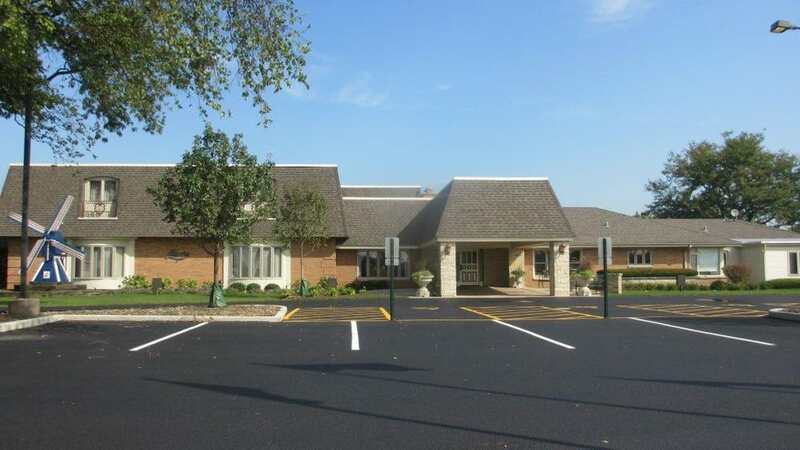 The nurseries and greenhouses have moved away but what a necessity they were for the new and inexperienced home owners of early Hoffman Estates. 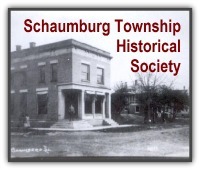 In a conversation with Pat Barch, the Hoffman Estates Historian, she brought up a local business I had not heard of. Her question was about Slattery’s Nursery that was just east of the intersection of Higgins and Golf Roads. According to her they also had property across Golf Road, behind Ahlgrim & Sons Funeral Home. She wondered what was that piece of property and what did they use it for? This business was new to me so I agreed to do some investigating. After diving into back issues of The Herald, I found that Slate Slattery opened his nursery on Friday, April 21, 1961. The business offered “complete lawn and garden supplies and equipment” from shrubs and trees to fertilizer and seeds to seedling flats. They even had a gift department and pet department. As part of the grand opening celebration they offered a Toro Rotary Mower as 1st prize, a Weber Bar-B-Q kettle as 2nd prize and a Brush-on Agrico Spreader as 3rd prize. Just for stopping in, each family received a choice of a free geranium, ivy and philodendron. 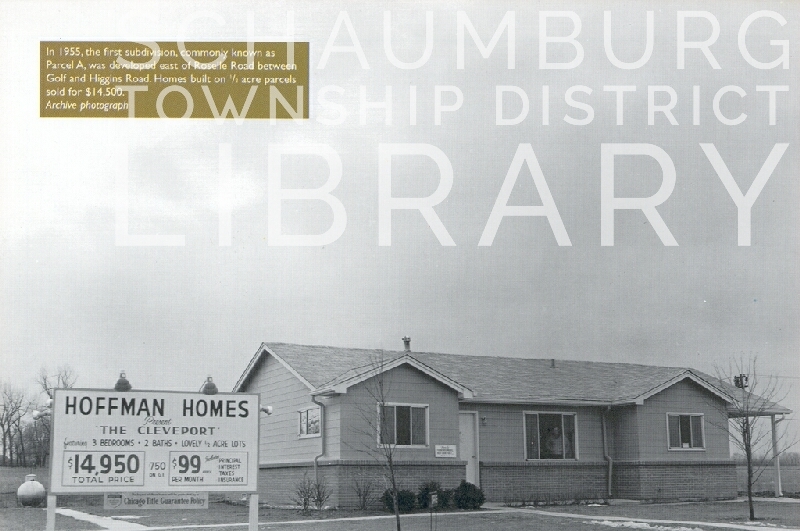 Given the amount of growth happening in the area in the 1960’s, it seemed like a logical idea to bring a business to town that would provide trees, shrubs and plants to all of the new homeowners. Since the housing developments did not include exterior plantings as part of the purchase price of a house, it was left to the homeowner to plant his/her own. As a result, it appears Mr. Slattery saw an obvious need and jumped quickly into the local business fray. But, what was behind Ahlgrim’s (shown above) and why was that, too, known as Slattery’s? After placing a call to Ahlgrim’s, I was told that the Ahlgrim family took residence in 1970 in a ranch house on Golf Road in their current location. They did not begin operating as a funeral home until 1972. Pat remembered, though, that the open space behind the funeral home was often used by her children as a place to play in the 1970’s. Below is a portion of an aerial photo we have in our collection. It shows what appears to be the nursery plantings on the north side of Golf Road. In addition, one of the commenters below mentioned that the nursery plantings extended north to Frederick Lane and west to Jefferson Road in Hoffman Estates. He also mentioned that there was a fishing pond on the property which, I assume, is the pond that can be found on the Village in the Park property today? There was the answer! It was used as a functioning nursery and, when they sold their portion of the property in early 1970 to Zaremba Construction Co., they obviously left assets scattered throughout the parcel. This begs the question–is that how Village in the Park got its name?